Lulea is a city in the North of Sweden, very close to the Arctic Circle. Although far, it is a destination worth visiting, and I am going to explain why! The midnight sun, the never-ending day! This one goes out for the workaholics and for the romantics that can enjoy a 4 hour sunset. Also if you ever imagined how would it be if there would be no night, but never got to experience it, this is a great place to start! 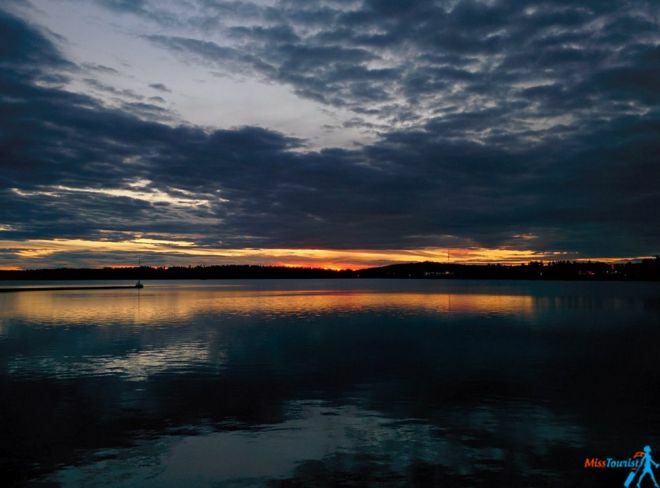 I went to Lulea in the middle of July, and to be honest, the “midnight sun” is more like a very long sunset that starts around 10:30 p.m. and lingers on until around 2 a.m. To make things better, just a few minutes after that, while there is still twilight, the sky will transition directly into a sunrise. I could finally experience a never-ending day, and all the possibilities that it brings with it. You could be amazingly productive if that’s what you are aiming for. I emphasis the “could” here. Also, if you are not a fan of curtains, you should learn how to use them this time. I woke up at 4 a.m. with a very shiny sun in my eyes. The same at 5. And again at 6. You get the picture. Use the curtains when you want to sleep! The Swedes who live up north, and actually the Swedes in general, incorporate sports in their daily lives. I only wish more nations would do the same! Everybody is out and about doing their sporty thing, the whole family. From kids who just started properly walking to grandmas and grandpas (who are usually in tremendous shape), everyone is sporty. It’s part of the culture and they look great and feel lively all the time. 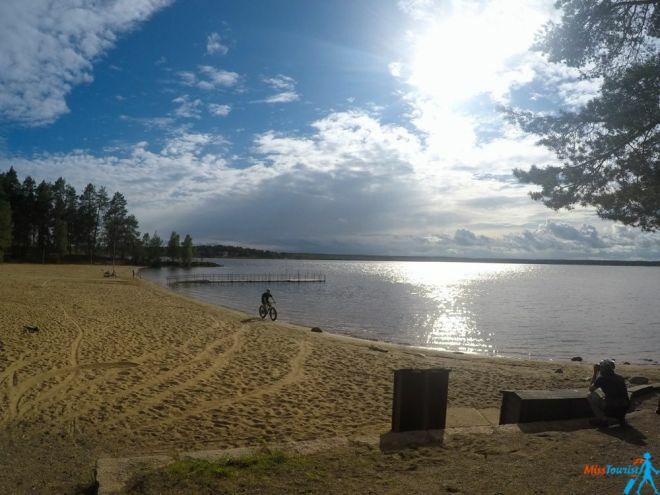 In the summer you can bike, trek, swim and sail. In the winter they skate, ride snowmobiles, ski and bike again. Biking in Lulea has benefited from the latest emm.. bike related research and innovations. The “fat bikes” were popularized here quite quickly. The fat bikes are basically all-terrain bikes, with much thicker wheels, that can easily pass over any obstacles. They are the monster trucks of bikes. I took a tour around Lulea with Ouroborslulea and enjoyed it a lot. The guys are cool and friendly and their bikes are awesome! 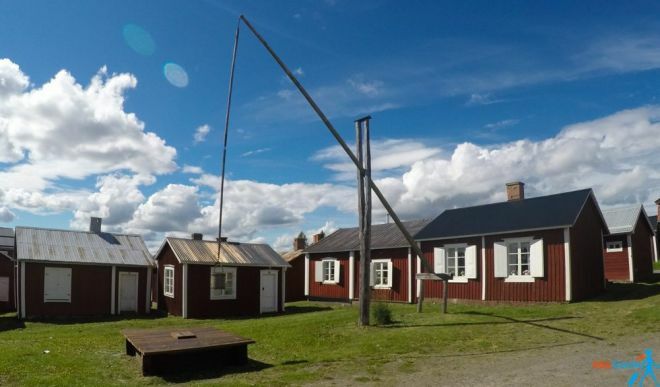 A short drive away from Lulea, you can visit an UNESCO World Heritage site: the church town of Gammelstad. It’s a historical church town that has over 400 houses made of wood and a stone church which was built in the 15th century. The church town was established as a sort of colonial outpost. The reasons were more administrative than religious. Back in the days, these territories were not attributed to any land, so the Sweeds built Lulea to claim the region for themselves, before an early Slavic kingdom would do the same. Today’s town is a blast from the past. You can walk around the red painted wooden cottages and you can visit the “village center”. There, you get to feel a taste of the Swedish life centuries ago. You can bake your own flat bread or churn butter. Butter was even used as a currency in this area, if you can believe that. 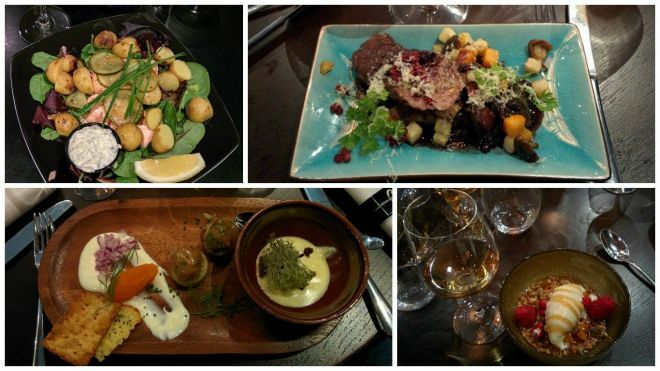 There’s also a great opportunity for fine dining, the Kaptensgården restaurant is a real treat with a top chef. It was surprising to find this kind of quality in food so far up north, but the surprises just began and after a 7 course gourmet meal I was straight out impressed! The owner might treat you with some game he hunted himself, based on availability. Please relax, I know what I am talking about! You see, in the past few years, Sweden has been undergoing a food revolution. People are starting to get serious cravings for gourmet food, and, in consequence, the Swedish chefs took some lessons. hat came out was great: even in such a faraway place as Lulea, you can find top restaurants with really interesting menus and gourmet food. The places I visited and enjoyed the most were Friends Café in Lulea, and as I mentioned Kaptensgården in Gammelstad. Facebook built a very clean and neat data center here in Lulea. It uses the cool arctic air to keep a warehouse sized server facility at manageable temperatures. Basically, if you like this post right now, it will go through Lulea, Sweden. I dare you to do it! Unfortunately, you cannot visit the data center, it’s off limits. How to get to Lulea? The cool way is by train! There are overnight trains from Stockholm to Lulea and they take around 13 hours. You can take a sleeper cabin (mine had 3 bunk beds) and enjoy the ride (there will be light almost all the time during the summertime!). Or, you could rent a car and do a drive. That can turn in a great adventure and you will explore a lot more of the beautiful Scandinavian country. Here are some great deals for renting a car! The easiest way to get to Lulea is by plane from Stockholm Arlanda airport. Well you could always bike around, or rent a car and explore the surroundings. 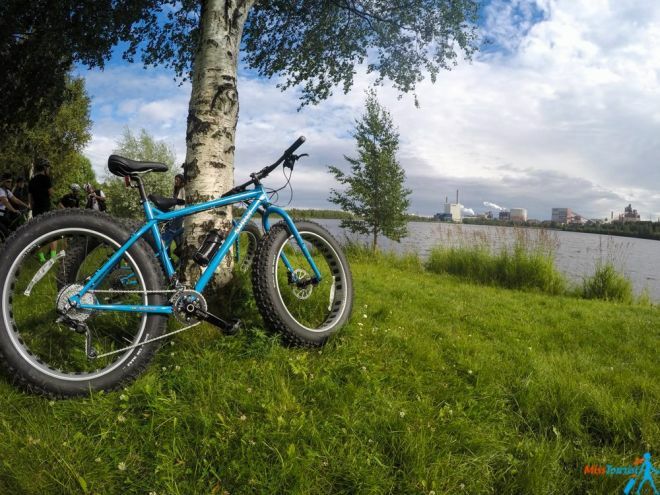 You can get a fat bike at Ouroborslulea and have some off-road fun! For cars, you can rent one here. By the way, if you want to go even more North in Swedish Lapland, I have been there and here are the fantastic things you can do there! If you are visiting the capital of Sweden, I have made a cool itinerary for you. Also, don’t forget to check out Stockholm Archipelago! 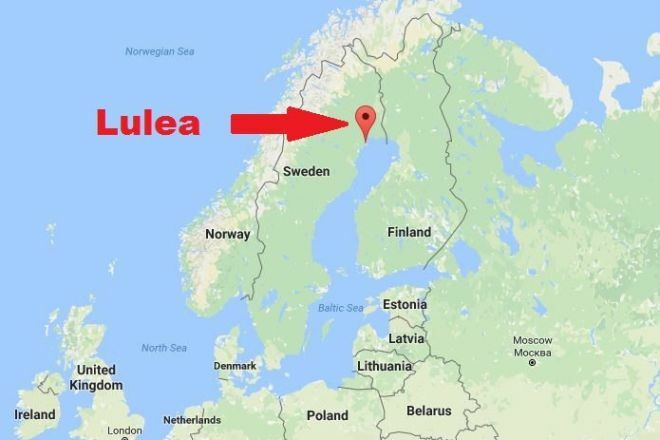 Where to stay in Lulea? I stayed at the Clarion Hotel, and I recommend it. If you want to see other options, you can always check the rates here. 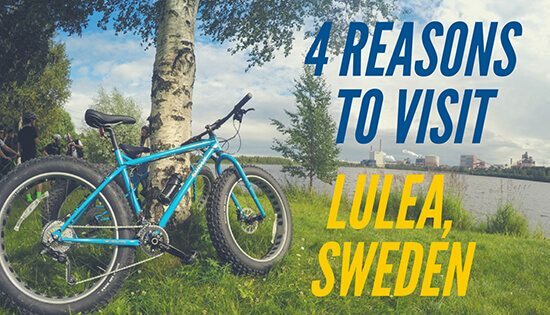 Whether you visit it in the summer or in the winter, Lulea has plenty of opportunities to surprise you! Being so close to the arctic circle will give you a new perspective on the daylight (or darkness, in the cold season) hours, one that you will definitely enjoy! Please don’t forget to “Like” and Share it if you think it was useful! And as usual, you can ask me any questions below, I will be happy to answer! Do you get to see the northern lights there? Not in summer. It doesn’t get dark enough. Great blog may I say! Will I be able to see the Northern lights in the middle of October? depends on your luck, but you might be! Midnight sun? Sounds cool, Yulia! 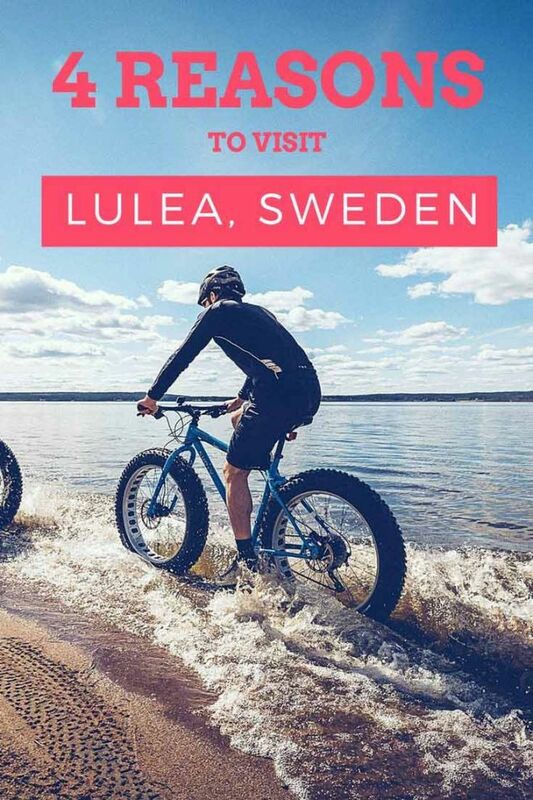 Lulea seems like a fascinating destination.